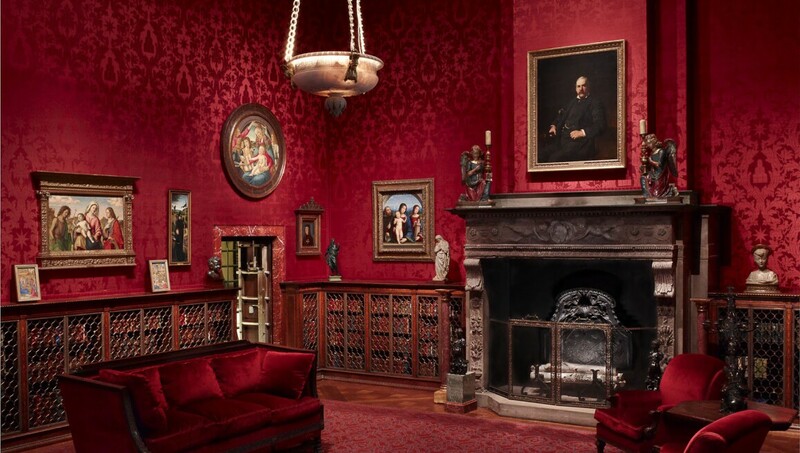 The Morgan Library & Museum began as the private library of financier Pierpont Morgan (1837–1913), one of the preeminent collectors and cultural benefactors in the United States. As early as 1890 Morgan had begun to assemble a collection of illuminated, literary and historical manuscripts, early printed books and old master drawings and prints. Mr Morgan's library, as it was known in his lifetime, was built between 1902 and 1906 adjacent to his New York residence at Madison Avenue and 36th Street. Majestic in appearance yet intimate in scale, the structure was to reflect the nature and stature of its holdings. The Italian Renaissance-style palazzo features three magnificent rooms epitomizing America's Age of Elegance. In 1924, eleven years after Pierpont Morgan's death, his son, J. P. Morgan, Jr. (1867–1943), known as Jack, realized that the library had become too important to remain in private hands. In what constituted one of the most momentous cultural gifts in U.S. history, he fulfilled his father's dream of making the library and its treasures available to scholars and the public alike by transforming it into a public institution. Without losing its decidedly domestic feeling, the Morgan has expanded its physical space by adding additional gallery space and a garden court to the campus during the twentieth century. The largest expansion in the Morgan's history was completed in 2006. Designed by Renzo Piano, the project increased exhibition space by more than fifty percent and added important visitor amenities, Piano's design integrates the Morgan's three historical buildings with modestly scaled steel-and-glass pavilions and a central court. The Morgan Library & Museum has continued to acquire rare materials as well as important music manuscripts, early children's books, Americana and materials from the twentieth century, and hosts numerous special exhibitions of materials from the collection as well as new contemporary art each year.